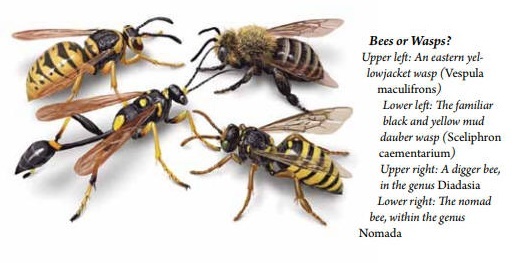 Before you start swatting or spraying a bee in your garden, first bee sure it's not a gentle and beneficial honeybee! The photo at below right shows some of the typing more aggressive sting wasps and bees and below you can see a gentle honeybee! 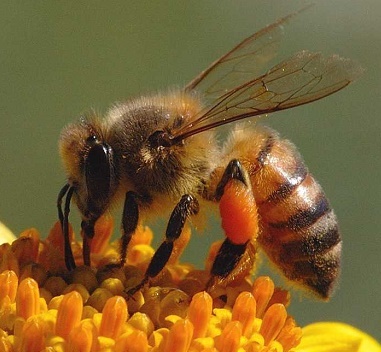 Notice that the honeybee is fuzzy all over and is short of squat. The aggressive bees tend to be elongated and shiny rather than fuzzy! 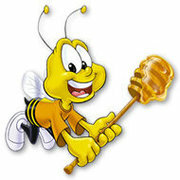 And if you like Cheerios, whatever you do, DON'T swat the bee below!